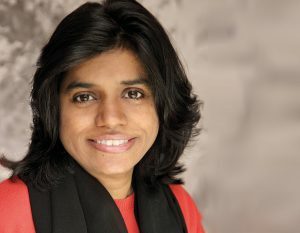 Speaking at MIPTV, Soumya Sriraman, president of the North American iteration of ‘best of British TV’ SVOD service BritBox, said it was too early to say how her division would work with the UK version of the service – coming in late 2019. Asked if the two services would pool commissioning budget, she said discussions were ongoing as to how the two services might collaborate in the future. However she did say the US division would keep on co-commissioning content with its parents, BBC and ITV. She cited the upcoming example of The Barking Murders. At the start of 2019, BritBox revealed that it had reached the 500,000 subscriber milestone. Sriraman declared herself happy with that figure and said that the platform, which offers a mix of classic and new content, continued to beat targets. Sriraman described access and discovery as key challenges. She said BritBox US continues to work hard to gain a presence on as many platforms as possible. On the discovery front, she also unveiled a Game of Thrones-style spoof promotion, which played on the idea that actors whose characters had been killed off in the HBO hit fantasy show could still be seen alive and well in other scripted shows on Britbox.